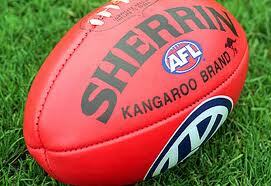 AFL news and Tipping – abysmal start to the tipping and it didn’t improve last week. At least Collingwood beat the Bombers at the MCG on Anzac day – and what a game of footy that was! There are a couple of tricky tips to consider but please use my preview as a guide to what not to pick ok? This is an interesting game considering the results from last week with Freo beating St Kilda and Carlton losing to Essendon unexpectedly. If the Dockers can hold Eddie Betts and tag Chris Judd they might have a chance. The fitness of Sandilands is under a cloud and that would be a big plus for Carlton. The Blues might struggle if the Fremantle defensive game plays its best. Needless to say the home ground and home crowd advantage is worth a couple of goals in Perth. Best to be short and brief about this game. Western Bulldogs will win reasonably well. Fortunately the game is in Canberra denying the Giants’ fans the witnessing of another defeat. The Giants will be using Manuka as a second home ground apparently. Expect the Doggies to get a lot of bite out of the centre and at stoppages with Griffen and Boyd. Whether Gold Coast loses Gary Ablett for a couple of games or whether he plays it can be safely assumed that North should and will win this game despite his presence or absence. Again, it is a game in which just the margin needs to be established. It’s confirmed that Ablett will not play so the job is even a little easier for North. Under no circumstances should anybody select the Demons to win a game until: a) They work out what Neelds’ game plan is and execute it and b) they win a game. St Kilda coach Watters had a little more to work with so the Saints are at least winning occasionally. Kozzy is out for the Saints and Rivers is back for the Dees. It would be an upset if Melbourne won. The Cats are winning but you couldn’t say they were purring along either. Playing in Brisbane is a danger game for them. Fortunately the Lions, also winning but certainly not roaring along, will struggle to match up on so many good Geelong players. They would need to stop Podsiadly and Hawkins up forward. Johnson hasn’t done a lot so far this season so he might be in for a good game. Don’t expect a huge margin but it will still be a Geelong win. When you look at the ladder you see the Swans undefeated in the top 4 and you will see the Hawks well outside the 8 with 2 wins and 2 losses? At the start of the season you would have predicted the opposite. The match is being played in Tassie, almost a neutral venue, so home ground advantage is weak. Sydney will push Hawthorn but the guess is that the Hawks need to get a wriggle on or lose serious touch with the top 3 or 4 teams and no double chance in the finals means no flag. Hodge is a welcome return for the Hawks. The Tigers have improved and they certainly pushed Geelong right to the post last week. The Eagles are undefeated on top of the ladder and won a very tight game against Hawthorn last week. You would expect that West Coast will not let a game slip that they may have penciled in as a win. Richmond has a way with the Eagles at times so it won’t be a push over. The Crows have dropped just the one game to give them a great start to the season and the Power has won just one game. Adelaide is playing the better football and even though there has been a marked improvement at Port they are still a few goals away from beating big brother at home.